Happy Thanksgiving! We've had quite a week here. (Didn't I say that last week??) Tiny B still has her cough and it's taken a lot out of her. We've had to do some re-evaluating of several things in her life due to her five weeks of illness and lack of weight gain. Tonight I went to coffee with a friend who also has a child with special needs, and we talked about how the worry over your child feels like a heavy weight on your chest. It can feel like the wind is knocked out of you. Strong B exhausts me in typical physical ways, but the worry that I have for Tiny B just can't be put into words. We've decided that she needs to stay away from closed, tight spaces with other children as much as possible right now. 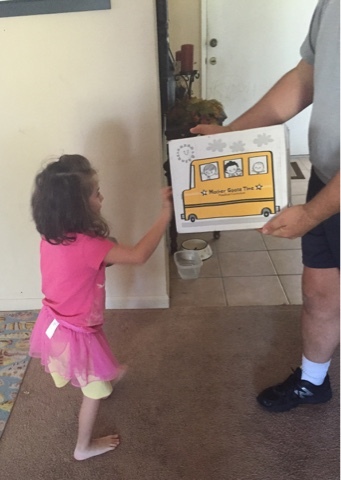 In particular, this means church and the one half day of transitional kindergarten that she attends once a week. There is so much illness going around, and it seems that she is one illness away from having to start tube-feeding again. We enrolled her in phase two of the amazing tube-weaning program where she was weaned, and started that three days ago. (She's already improving by leaps and bounds!) 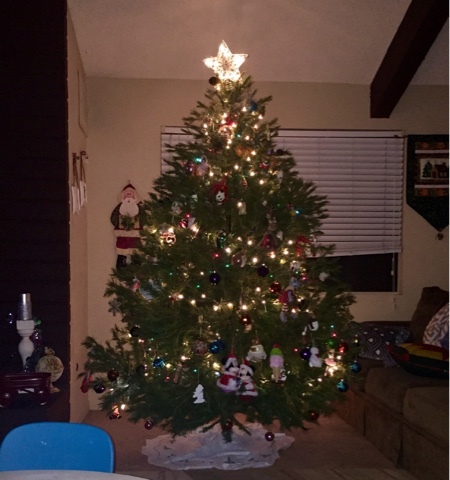 We decorated the house for Christmas and made it beautiful knowing that we will be spending a lot of time here. 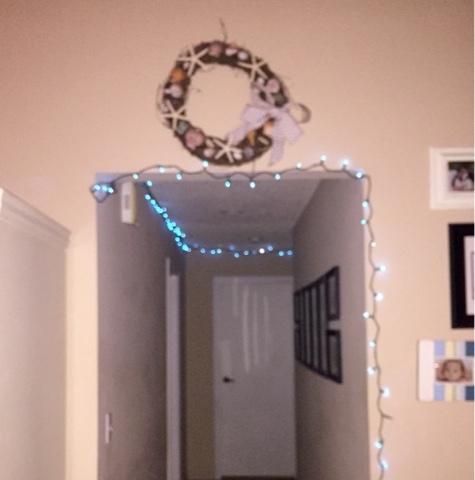 When I came home from coffee this evening, my husband had put up every Christmas light that we own, stringing them through the hallway and over the doors. He knew this would be a wonderful surprise for my weary heart. The Mother Goose Time curriculum for December is absolutely perfect: The Sights and Sounds of Winter. We plan to emerge ourselves in this and the bible study portion this month. I am amazed at seeing God's hand at work...He absolutely knew that we would be spending a lot of time inside and He knew that Tiny B and Strong B would need this. 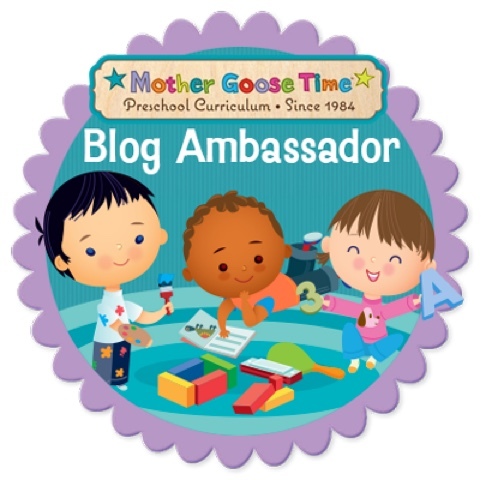 Little did I know when I signed up to be a blog ambassador, that it would serve as such an incredible blessing. I wanted to give you a highlight of our week before I sign off. I have been loving the special kits that come in the Mother Goose Time (MGT) curriculum for the holidays. 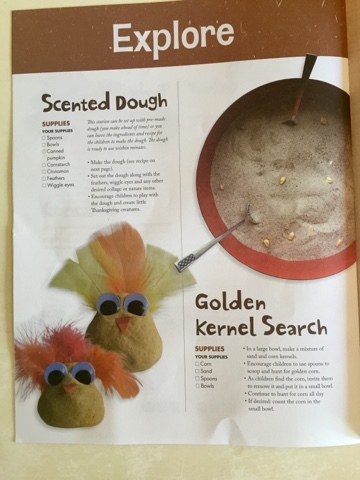 There was an adorable kit for Thanksgiving which included the recipe for pumpkin scented dough. It was so much fun! And smelled delightful! The three of us sat at the table and took turns spooning pumpkin out of the can. Then I slowly poured cornstarch into the bowls as the kiddos mixed it with the spoons. That took some muscle and patience--all excellent things to work on in preschool! We then sprinkled pumpkin pie spice and cinnamon into the dough, and began playing. I brought out the rolling pins and various toys we use with dough, and they played for about an hour, uninterrupted! I even got the chance to work on prepping my freezer meals in the kitchen (my latest hobby). 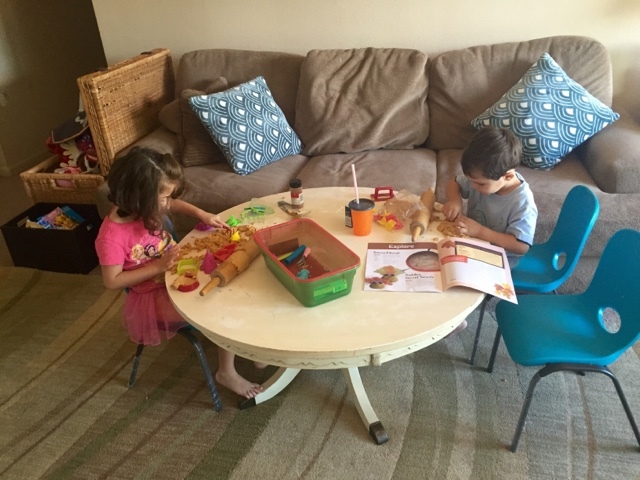 I could list about a million ways in which time playing with dough is effective, but I'll just highlight a few things that really stick out to me and my particular kiddos. Tiny B lived most of her five years on a feeding tube and therefore had some sensory issues with touch, smell, and taste. It's very common. 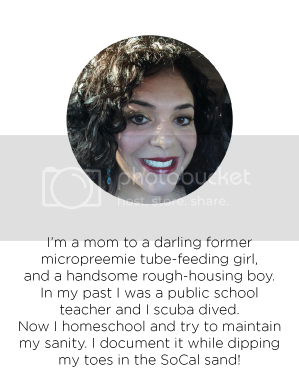 It's also because she was a micropreemie. In the NICU, she lived in a glass box with loud beeping noises and bright lights. It's a recipe for having difficulty with some sensory things. Ever since she was a baby her therapists have been making her touch dough and goo and shaving cream. It was so important to keep her touching things and getting used to things. We always gave her licks of lollipops and Popsicles for the same reason...to desensitize her. She doesn't like her hands to get dirty but she has improved so much! You wouldn't even know this about her if you see to spend time with her. Playing with scented dough is crucial to her development. She loved it. She even asked to eat it! (I shockingly said no). Her hands were covered with sticky dough and she was kneading it and giving those fingers some much needed exercise. Her occupational therapist would very much approve! Strong B is your typical three year-old boy who often has the attention span of a flea. The fact that he engaged in this activity for an hour was so good for him. He's developing the skill of focus. It also is so good for his imagination. I could hear him playing with his different little voices. He also practiced turn-taking and sharing with his sister as they navigated the rolling pins, cookie cutters, and various tools. I didn't even plan it this way, but right at the end of their playing, the MGT box was delivered, which is always a total treat! It was very symbolic of what what we're choosing to focus on this month. God has very clearly told me to hunker down inside (within reason), spend time learning and playing, build Tiny B's strength back up, and just enjoy each other and the love of God for the holidays. The timing couldn't be better. And now I must sign off, as I've written too much (as usual) and the lights strung all over my house are begging to be enjoyed.